Coun Richard Dodd said that having such a policy would be useful. 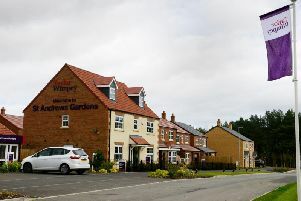 A new policy for dealing with what is deemed unreasonable conduct by people making a request or complaint has been adopted by Ponteland Town Council. Members of the authority agreed the recommendation about the document, which refers to vexatious behaviour. This means when someone is being abusive, threatening, offensive or unreasonably persistent. The policy document says that it will assist the council in its efforts to deal with requests for information or complaints in a timely, reasonable and consistent manner. It also sets out the procedure for determining whether vexatious behaviour has occurred and the restrictions that can be imposed on the person making the request or complaint. Coun Richard Dodd said: “The point of having this policy is to protect the council and its staff when someone goes too far. “For example, there have been occasions where people have sent more than 100 emails a month to a council clerk. If the council clerk (Kath Mavin) considers that vexatious behaviour has occurred, after consulting the Mayor or designated councillor she will issue in writing a warning letter to the person making the request or complaint. If the behaviour continues, an order will be written and there is also scope to amend the order, the terms or both following discussions with the relevant member or members. A person who receives it can submit an appeal and this will be determined by a panel of three councillors.